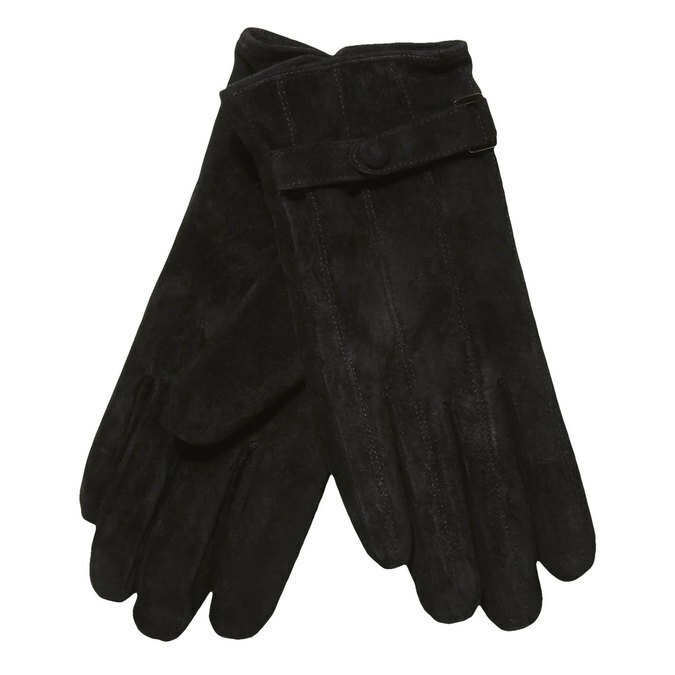 Timeless ladies' gloves made of brushed black leather. There is a subtle strip with a button around the wrist. They will go with both elegant coats and quilted winter jackets. They will readily combine with accessories.